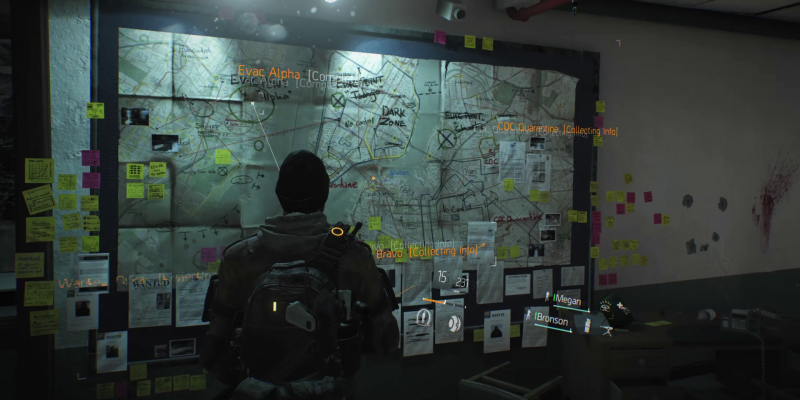 The PvE Zone leads you mainly through the story of The Division. Here you will probably spend most time of the game on completing campaign as well as secondary missions. 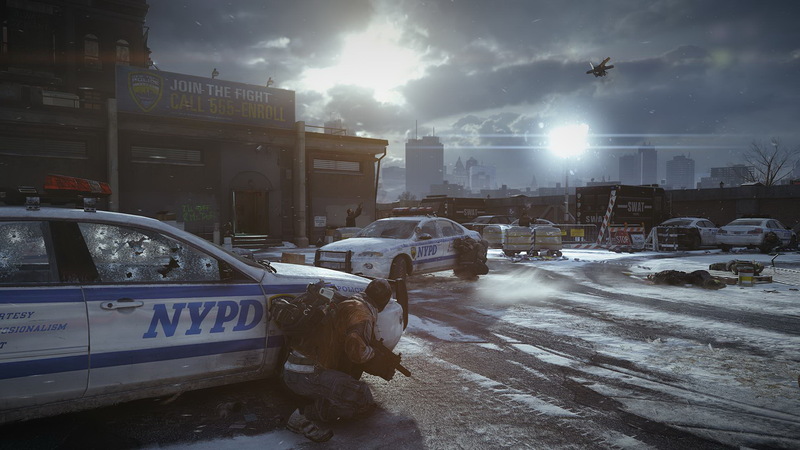 While the Base of Operations waits to be reclaimed by you to restore the infrastructure New York City’s, you have to fight against enemy factions and be always one step ahead of the invisible enemy (virus …?). So that you be up to this task, you should be one with the zone, know on the one hand, where you can find new items and equipment to be prepared for new challenges, to be able to adapt your abilities on certain situations and use the environment to your advantage. 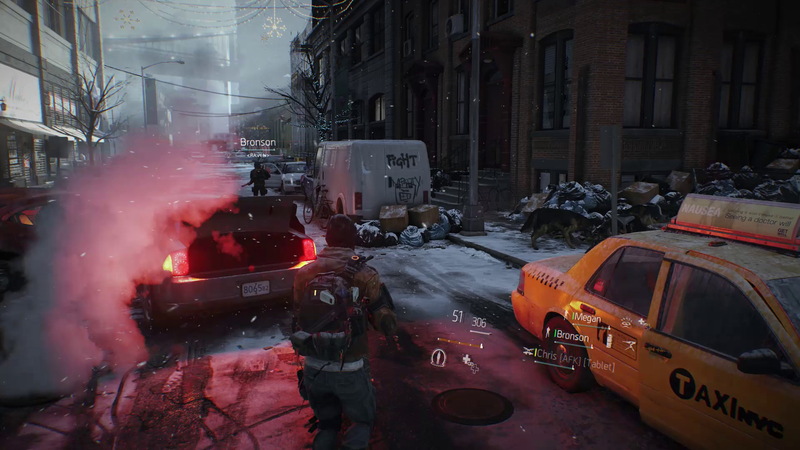 The PvE Zone can be entered alone or in a team consisting of maximum 4 players. This area works comparatively like an instance, after entering all the game content is tailored to your current game session or your party. 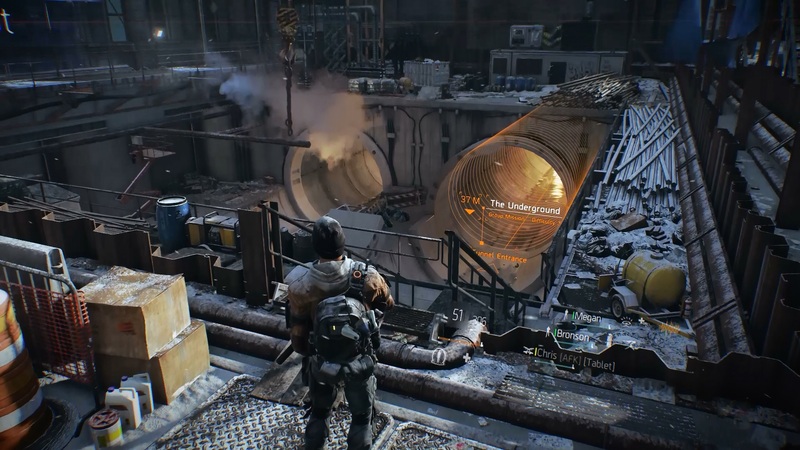 Furthermore you will not encounter other players of the The Division universe there – unless you cross the border into the Dark Zone or return into the Social Hub. 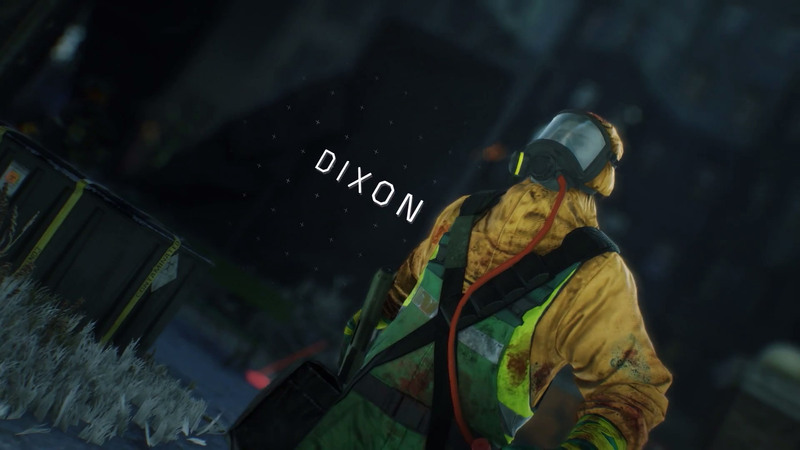 Although the Dark Zone requires you to wear a gas mask, you can also find contaminated areas in the whole city. Since Update 1.4, also Roamer NPC groups and Named Bosses are back in the Open World again. All of them have a chance to drop the best loot in the game. 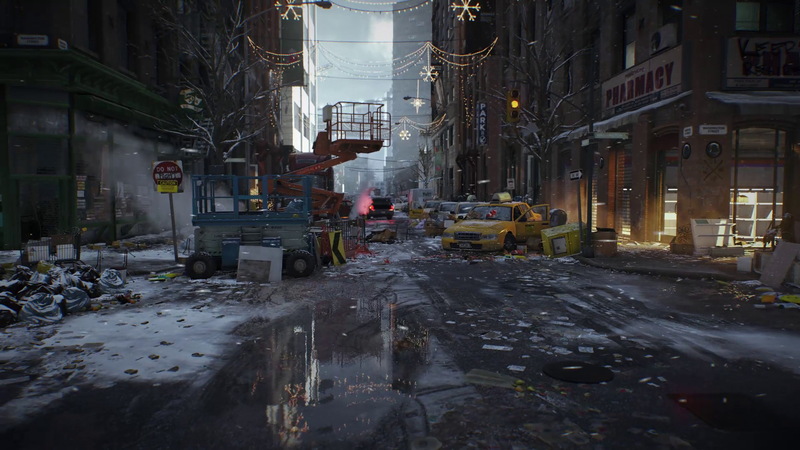 Safe Houses are the safe places in the PvE Zone in The Division. 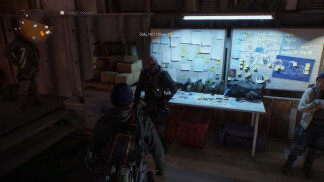 Same as for Safe Rooms in the Dark Zone, a small box in there allows you to restock your ammunition and consumables while different vendors are always available to trade with. Search and Destroy missions are exclusive PvE challenges and will reward you with intel – so called Target Intel – in order to locate High-Value Targets (HVTs). 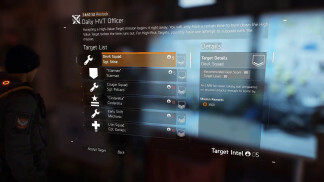 These missions can be accepted by interacting with the mission boards in Safe Houses of named zones once all side missions and encounters in that named area have been completed. They will lead you to locations where groups of enemies are already waiting for you. When you have completed all S&D missions in the highlighted area, the area will be marked as critical and you can continue with hunting down the there located HVTs. In addition, a new named area including new Search and Destroy missions will be highlighted on your mega map and the fun begins again. High-Value Targets are dangerous faction leaders which pose a threat to the society that need to be stopped at all cost. To achieve that, you first have to collect enough Target Intel by completing Search and Destroy missions. To finally accept one of the given missions, talk to a designated HVT officer for the daily and weekly mission. They can be found in your Base of Operations right next to the Canine Unit. These bounty contracts are available on a daily (6 missions) and weekly basis (4 missions) and some of them might even require a group of agents to succeed. A given Gear Score and Target Level will inform you about the level of risk you will face when trying to eliminate them in a certain amount of time. Talking about risk, additional High-Risk Targets don’t allow you to fail as you have only one attempt. and also items from Gear Sets. 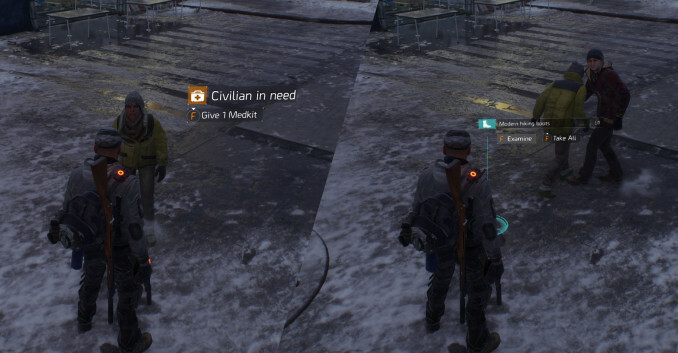 Civilians will sometimes ask for your help and give you random items as a reward. You can help them by handing over one of the 7 consumables and the reward is most time a skin for your gear or weapon. To not miss this opportunity you should avoid random shooting in New York City or pointing your weapon at them as they get easily scared and probably run away. 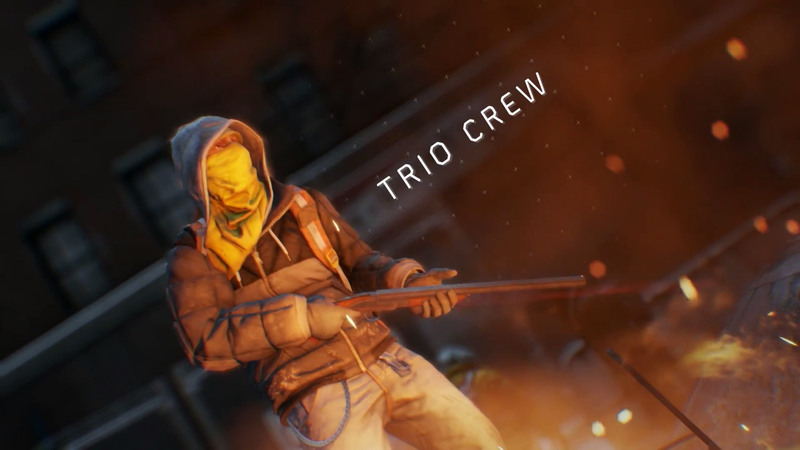 So far it is unknown whether The Division will ever provide the possibility of setting up raids or multi-squad operations (4+ players). These topics were addressed and discussed very frequently in the past, but Ubisoft still doesn’t have any further details on it, but pointed out that the developers are looking into this part of possible endgame content. Stay tuned.